Last week, the United States and Algeria opened up strategic talks on regional security during U.S. Secretary of State John Kerry’s first visit to the north African country. Leaders of the two nations pledged to continue working together to combat Islamist terrorism within Algeria and across the Maghreb. The spectre of terrorist unrest has never been far away since the last major incident involving an al-Qaeda assault on the Tiguentourine gas plant last January. The brutal attack included a gruelling five day siege which left at least 49 hostages dead. But inconsistencies in the Algerian state version of events reveal a dangerous game which is unravelling regional security to cater for foreign energy interests. In a 2013 report published by Kings College London’s International State Crime Initiative (ISCI) - a research center partnered with Harvard, Hull and Ulster universities – Keenan shows that “the majority of ‘terrorist’ incidents within Algeria since 2002 have involved some degree of collusion between the DRS and the ‘terrorists’ involved in the operation.” Although Keenan advises the European Union, U.S. State Department, and UK Foreign Office on regional security issues, he complains that his criticisms of Algeria fall on deaf ears. Shocking though this seems, Keenan’s allegations are corroborated by intelligence experts. Former Algerian intelligence officer Habib Souaïdia, in his 2001 book La Sale Guerre (The Dirty War), confirmed that the DRS had penetrated Algeria’s al-Qaeda linked groups since inception, regularly disguised its officers as Islamist rebels, and largely masterminded the tremendous violence leading to the massacre of about 200,000 Algerians. French courts effectively underwrote the veracity of Souaïdia’s case when former Algerian Defense Minister Khaled Nezzar filed a libel suit in Paris against the publication, which was promptly thrown out by the court. Former National Security Agency counterintelligence officer John Schindler – now head of National Security Affairs at the U.S. Naval War College and chair of the NATO Partnership for Peace Combatting Terrorism Working Group – also confirms Keenan’s analysis. This is not news to Britain either. As early as 2000, a revealing batch of classified Foreign Office documents, including MI5, MI6 and U.S. intelligence reports, emerged in a UK terror trial. The documents confirmed that the U.S. and British governments believed the Algerian regime was involved in Islamist atrocities, contradicting their public narrative. So if the U.S.-Algerian “counter-terrorism” partnership is not really countering terrorism, what is it doing? Algeria has some of the largest oil and gas reserves in the region and is currently the third-largest gas supplier to the EU, providing 10-20 percent of its consumption. A recent UK government trade and investment briefing projects that expanded Algerian production could meet 10 percent of UK gas demand, while a U.S. Department of Energy assessment finds that Algeria has the world’s third largest recoverable shale gas reserves. British government documents obtained by the London-based oil and gas watchdog, Platform, show that the UK is playing a central role in the drive to cement Western energy ties with Algeria. The Algeria is part of a wider drive to diversify energy sources in the context of looming supply challenges. According to a UK government spokesman, when questioned about relations with Algeria, “by 2035 global oil demand, although reduced, will still exceed production from existing sources, and global gas demand will have risen.” UK strategy thus fits into a broader U.S.-led effort to dominate the region’s untapped oil and gas resources. AQIM’s expansion across north Africa, Keenan points out, has focused on oil-rich nations - particularly Algeria, Niger Delta, Nigeria, and Chad. Over a decade ago, the latter signed a “co-operation agreement on counter-terrorism that effectively joined the two oil-rich sides of the Sahara together in a complex of security arrangements whose architecture is American.” This evolved into the Trans-Sahara Counterterrorism Initiative, which was eventually absorbed into the U.S. Army’s AFRICOM. But as Keenan warns, bloodbaths like the gas plant siege prove that the new “Great Game” in the Maghreb is increasingly out of control. Short-sighted geopolitical interests in dominating regional energy reserves must be put aside before the cycle of violence escalates in ways all too familiar. 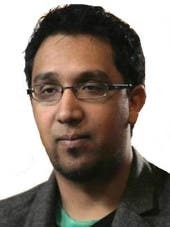 Dr Nafeez Ahmed is a bestselling author, investigative journalist and international security scholar. He is executive director of the Institute for Policy Research & Development in London, and author of A User's Guide to the Crisis of Civilization among other books. His work on international terrorism was officially used by the 9/11 Commission, among other government agencies. He writes for the Guardian on the geopolitics of environmental, energy and economic crises on his Earth insight blog. Follow him on Twitter @nafeezahmed.